Farm & Fork Society members can now purchase maple syrup, honey and other maple and honey products from Joey Russo's Green Mountain Maple Sugar Refinery Company in Vermont. Born in New Jersey, Joey Russo became interested in maple sugaring at 13 years old when his parents purchased a retirement home in Delaware County New York. He received a bachelors degree in Food Industry from Delaware Valley College of Science and Agriculture in Pennsylvania, He also studied at the Culinary Institute of America in New York and received an A.O.S. degree in Culinary Arts. Shortly after Russo began is professional career he purchased a large sugaring operation in Lamoille County Vermont in the Town of Belvidere. Using his food engineering background, he devised an evaporating system using high pressure steam. 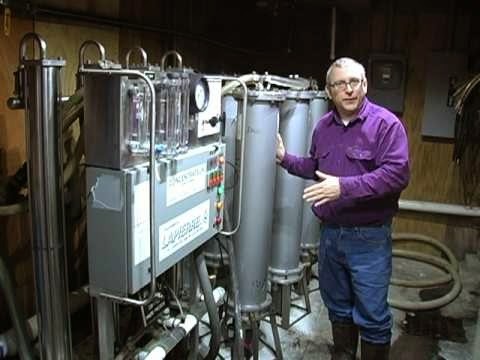 The system is refined year after year and makes a beautiful flavored pure Vermont maple syrup at the Green Mountain Maple Sugar Refining Company. In addition, Russo has recently purchase property on Lake Champlain where he makes the finest pure honey. Members may order Maple Syrup (4 grades), Maple Cream, Maple Vinegar, Maple Candy, Honey and/or Creamed Honey from the Green Mountain Maple Sugar Refinery Co in Vermont. All products are organic, GMO free and Kosher. All maple products are made at the Farm in Belvidere Center, Vt. All honey is raised on Lake Champlain in Alburgh, VT. Please note this offering is considered a supplemental share.